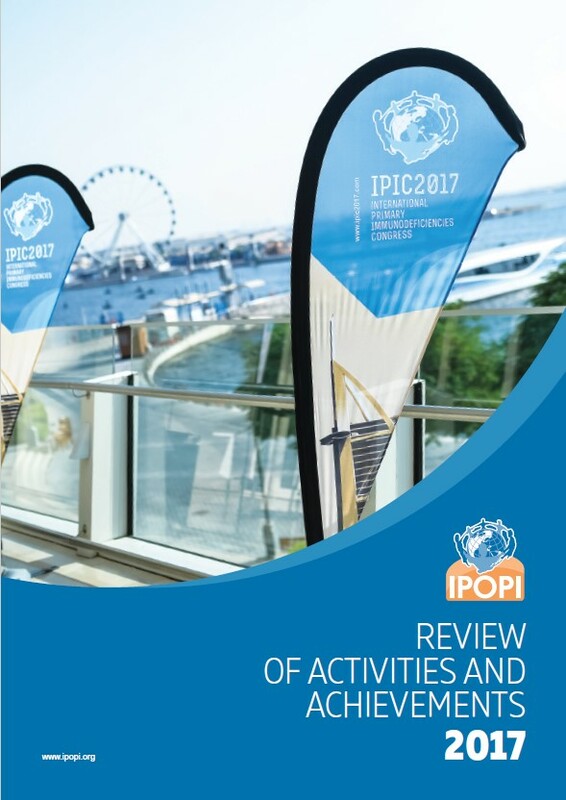 IPOPI’s 2017 Review of Activities and Achievements is here! In 2017 IPOPI celebrated its 25th year of existence as an international patient organisation; a quarter of a century after it was launched in Lugano, Switzerland in 1992. Today IPOPI represents patients living with primary immunodeficiencies in all regions of the world, in 66 countries and many more to come. These organisations are the backbone of IPOPI and will always be the most important stakeholders. We hope you will enjoy reading this annual report that illustrates key events, campaigns and policy efforts of the past year towards the global primary immunodeficiencies (PIDs) community.